Your dream home has already been designed, customize it, build it on a 2.3 acre lot OR just buy the land and build your own custom home. One of the very few land lots remaining in Cherry Hills Village; 2.3 acres and ready to build your dream home. The land lot is flat, has gorgeous mountain views, is surrounded by prestigious estates and has water, gas, electric and sewer available to site. Designed by prestigious RKD architects a custom home with three bedrooms, and an upstairs studio area which could easily convert to a guest suite, 4-1/2 baths, with the master having separate "his" and "hers" areas, is ready to be built. There is an office nook off of the Master Bedroom, a larger office by the kitchen, and a book-nook off of the living room. The two guest rooms share a private sitting room area. There is also a big office/studio on the second floor that can be converted to another guest suite. Floor areas are 6,533 sq. ft. finished, 1,273 garage, and 2,300 basement. Of the finished area, all but 608 of that is on the main level with on-grade patios and gardens to maximize indoor-outdoor living. Outdoor areas have a reflecting pool, swimming pool, SPA in addition to terrace. 4-car garage offers plenty of space for cars and toys. There is a basement under the main living area, currently to use just for mechanical and storage, and it currently has an 8-foot head height and no windows. This can easily be changed to include rec. room, more bedrooms, media room, etc. Price is for land only; custom home plans included complimentary. RKD Architects, Inc. specializes in resort and mountain architecture. Our primary goal is the creation of excellent design. We are a small firm, which allows our principal architects to be very hands-on with each project. We prefer to be passionate about a few special projects. Each RKD project is an integration of context, environment, design skills and individual clients' tastes to create unique, site-specific architecture. The company was established in Vail, Colorado in 1989 by Sally Rich Brainerd, AIA and Jack Krusen Snow, AIA. Since that time, RKD has designed architecturally significant projects at the Yellowstone Club in Big Sky, Montana. A "green" home in Edina, MN was the feature of a documentary which aired in Minnesota on Fox Television about green design and building practices. This home, "the Green Fin" was featured in The Wall St. Journal in 2009- "The Low Emissions Estate". Currently RKD has projects under construction in Moorestown, NJ; Park City Utah; Lake Tahoe and in many locations in Colorado. 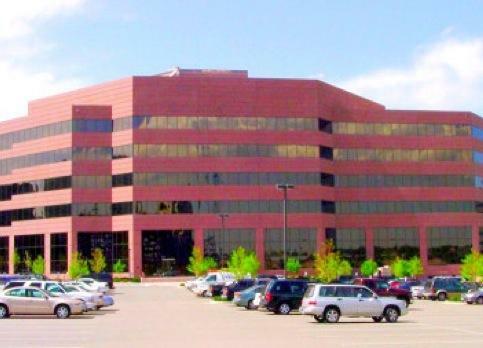 Located in Denver Tech Center since 2001 we are Denver's premier choice for real estate and mortgage services. Using the same techniques that Apple and Samsung use to create a buzz around their new product launches, we create a buzz around your property listing to net you maximum profit in any market condition. Using state of the art tools we provide very relevant information not available on the internet to our buyers to help with the buying decision so that they can focus on what is important to them when looking at homes... having fun and getting excited about their next home. Leveraging our network of 85 wholesale lenders we are able to offer our clients rates that are unbelievably low at very nominal to no closing costs. We get loans done fast and with no hassle. Even though our rates are wholesale, our service is defenitely retail. Now you can have it all, wholesale rates, retail service.